Today, on the 30th anniversary of the Draqon Quest series, Square Enix has announced that they will release Dragon Quest Builders in North America and Europe this October. The game will be released on PlayStation 4 and PlayStation Vita (digital only). In Dragon Quest Builders players will use their creativity to gather and combine a variety of unique tools and materials in order to rebuild Alefgard, a realm destroyed by the menacing ruler of the monsters, the Dragonlord. Seems to me this game is a clone of the Minecraft and Square Enix wants to take advantage of the hipe. Square Enix has announced that Final Fantasy X / X-2 HD Remaster will be available on Steam this Thursday, 12 May. This after the HD upgrade of Final Fantasy X and Final Fantasy X-2 has been released on PlayStation 3 and Vita in 2014 and PlayStation 4 last year. The Steam version will feature auto-save, 5 game-boosters (Turbo, Supercharge, Eneny encounter settings, Auto battle mode and Hide HUD) and 3 parameters that can not be turned off when activated (99 of each item excluding Key Items, Unlock all skills and Max Gil). 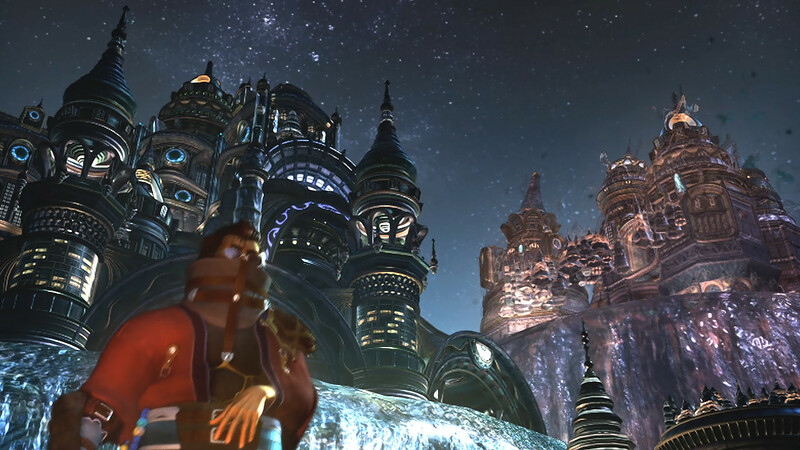 You can check out the Final Fantasy X / X-2 HD Remaster Steam page here. Update: Final Fantasy X / X-2 HD Remaster is now available 20% off (€ 19.99 / £ 15.99 / $ 23.99) the first week.